Discovering A Christlike Character is the final book in the DISCOVERY series. The teachers guide uses Bible accounts of Christ’s life to challenge your students to a lifetime of following His example. The teacher’s notes will help you relate important spiritual principles as you and your student(s), view segments from the MATTHEW, and NARNIA VHS or DVDs. Great for discussion. As they focus on the character of Jesus, such as His compassion, mercy, forgiveness, and patience, they will be drawn to Him and desire to be more like Him. 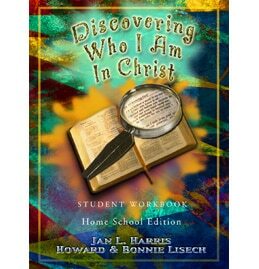 The lessons in this Bible curriculum are designed first to help young teen students focus on Jesus Christ and come to a deeper knowledge of His character and second to enable them to personally develop a more Christ-Like character. We believe that Christians only become truly like Christ by growing in knowledge and relationship with Him. Our part is to study God’s Word and obey it; God’s part is to “conform” us to be like Christ (Rom 8:28-29). The sequence and goal of each lesson is presented below. You will find these goals in more detail, and the reasoning behind them, in the Teacher’s Guide-Introductory Notes, at the beginning of each lesson. We are very aware that attempts to emulate Christ’s character often result in believers attempting to follow a set of rules and then suffering either pride “on success” or guilt “upon failure”. This curriculum makes every effort to avoid that trap by always pointing the students back to the power of Christ and the Holy Spirit within believers as the only means of developing a Christ-Like character. The first chapter covers Discovering Christlike Joy, and the final chapter is Christlike Love. Other chapters include lessons on integrity, self-control, unselfishness, humility, and forgiveness. This BUNDLE includes 1 DCLC Tch Guide, 1 DCLC Stu Wkbk, and 1 MATTHEW 2 DVD SET (The DVDs are used for the Introductory Lesson, Lesson 1, and Lesson 7. Other parts may be used as you desire.) . Would you like to better understand how the following books work TOGETHER and compliment each other by building PRECEPT UPON PRECEPT to help YOU reach this essential goal? 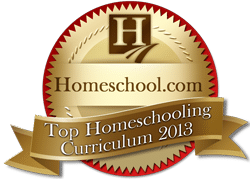 Go to the Free Bible Curriculum Samples folder (Christian School area) and you may order a FREE pdf sample of the SCOPE and SEQUENCE of the DISCOVERING…series.